I must say I’m partial to the black and white version, seems more authentic. Why is this such a Christmas classic? In some ways because of its similarities to Charles Dickens’ A Christmas Carol. Whether it’s a rich man who has lost the joy of Christmas or an everyday working person who just feels like the world would be better off without him, we love, love, love stories of redemption. We love to believe that no matter how far gone you are, there’s always hope, always a way back. Christmas is a time of hope, a time when people want to believe that all things can be put right again. 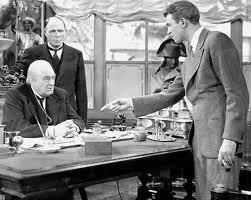 And I love anything James Stewart was in. It’s not a complicated story, in fact, its utter simplicity makes it appealing. Who says product placement is getting worse? The products and advertisements featured in Mr. Gower’s drugstore include: Coca-Cola, Bayer Aspirin, Pepto-Bismol, The Saturday Evening Post, Camel cigarettes, Lucky Strike cigarettes, La Unica cigars, Chesterfield cigarettes, Vaseline hair tonic, Penetro cough syrup, and Paterson tobacco pipes. Apparently the people of Bedford Falls were heavy smokers. 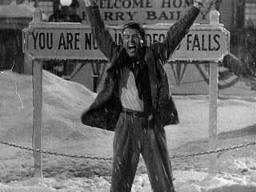 In Gremlins, Billy’s hometown is Kingston Falls, laid out to look like Bedord Falls and also has clips from It’s A Wonderful Life. 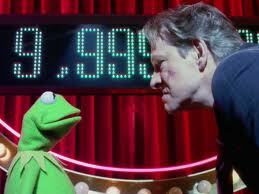 Kermit the Frog examines what would of happened if he’s never been born It’s a Very Merry Muppet Christmas Movie, a nod to It’s A Wonderful Life. Cheers, Saturday Night Live, Veggietales, The Simpsons, Mork & Mindy, Family Guy, Raising Hope, Red Dwarf, ZuZu’s Petals, The Killers, and more have imitated or referenced this film, it’s a pop culture staple. 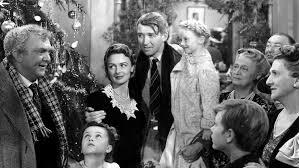 It’s A Wonderful Life lost RKO $525,000 at the box office during it’s original run. Although his acting career lasted for almost sixty years, Sheldon Leonard went on to be a pioneering and immensely influential TV director, writer, and producer. The television landscape would be entirely different without his contributions to the medium. I love catching him in his earlier acting roles, though! My favorite Christmas movie, thanks for all the fun facts!!! 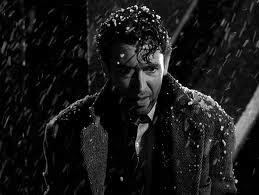 This is a wonderful Christmas show… I think James Stewart can make any show wonderful! I watched this last night, fell asleep during it and watched what I missed this morning. Of course, I’ve seen it so many times I never miss any part of it even if my eyes are closed. I hear it, dream it and it makes me cry each time I see it. Sadly though, cigarettes in those days were considered glamorous. Hollywood stars smoked them, cigarette companies sponsored TV broadcasting, cigarette commercials abounded, and no one knew how harmful they were. The companies that manufactured them did though. It wasn’t until, let’s see, 1962-1963ish that the first warning was put on cigarette packs and buying cigarettes if you were under 18 became restricted. I might have been 8 or 9 and had gone to the corner store to buy a pack for my mom. There was a notice behind the counter and the guy who was always there apologized. My grandparents who’d immigrated from Italy were appalled that the US would let such a thing happen. My mother smoked Marlboros and my grandfather Sir Walter Raleighs. After this folks had a right to sue the companies if they’d contracted or loved ones had passed away because of disease from smoking. These days no one has the luxury of that excuse. Thank you. Best wishes to you as well. Thank you for your kind words.